The Rainier School in Buckley is one of four institutions in the state for people with developmental disabilities. After failing inspections for years, the federal government is forcing DSHS to close a portion of the Rainier School. The federal government alerted the Washington state Department of Social and Health Services (DSHS) on Thursday that they are shutting down a portion of the Rainier School in Buckley — one of four institutions for adults with developmental disabilities still open in the state of Washington. The Centers for Medicare and Medicaid Services (CMS) is also pulling the funding for this area of the Rainier School beginning March 24. That amounts to $1 million a month in federal funds; a “big hit” to the state, according to a DSHS spokesperson. 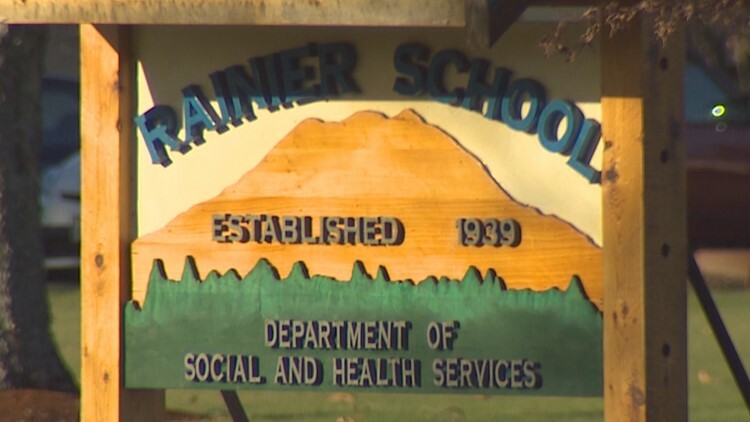 CMS is shuddering the housing unit of the Rainier School, known as PAT A, because of a persistent pattern of non-compliance with federal regulations that dates back to 2017. In both announced and unannounced surveys conducted by federal inspectors, Rainier School staff were observed failing to engage in “active treatment” with residents, who have developmental and intellectual disabilities such as autism, Down syndrome, and cerebral palsy. Active treatment means to consistently engage in teaching residents to be more self-sufficient, as opposed to doing daily living tasks for the resident. Another example of violating active treatment requirements would be leaving a resident without meaningful activity for long periods of time. The purpose of active treatment is to maximize every resident’s fullest developmental potential. “While we were in the process of enhancing several PATs statewide, we recognized that sustaining certification for this particular PAT (at Rainier) would be a challenge,” said Evelyn Perez, assistant secretary for DSHS’ Developmental Disabilities Administration. Closing PAT A at Rainier means the state will have to move 80 people to either Fircrest in Shoreline, Lakeland Village outside of Spokane, or to community-based housing with proper supports. DSHS has the option to appeal by requesting a hearing before a federal Administrative Law Judge within 60 days. In 2016, the KING 5 Investigators produced a series of reports, entitled “Last of the Institutions” which revealed that Washington is decades behind the times in continuing to offer institutional living for people with developmental disabilities. The U.S. Department of Justice interprets institutional living as a form of segregation based on discrimination.